I was sad to hear that Sue Grafton passed away on December 28, 2017, after a two-year battle with cancer. I first started reading her Alphabet mysteries in the 1980’s and loved the books. Each new book was like a visit from an old friend. Grafton’s protagonist was Kinsey Millhone, a former cop who left the police force to become an insurance investigator. She later became a self-employed private investigator. Kinsey had a lot of issues which is what makes her an appealing character. Her parents died in a car accident when she was five. Kinsey was in the car with her parents and had to be rescued. She was then raised by Aunt Gin, her mother’s sister. Kinsey learned later that her maternal Grandmother had been opposed to the marriage of her mother and father. In addition to tightly written mystery plots, Grafton revealed more about Kinsey in each new book. There were revelations about Aunt Gin, her grandmother, and other members of her family. The ongoing development of Kinsey is what gave the character depth and made her so appealing. 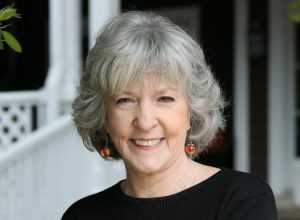 Sue Grafton’s books were “good reads.” She will be greatly missed.